Washington Facility Support Services Insurance. As a facility support services professional, you are dedicated to ensuring that the mission-critical facilities of your clients operate at peak efficiency every day of every year. You have the knowledge and expertise to ensure equipment reliability and uptime in data centers, network operations centers, communications facilities, POP sites and SCIF facilities. You want to provide support operations within your client's facilities with minimum interruption, so get Washington facility support services insurance coverage for any unexpected risks coming along the way. Washington facility support services insurance protects your business from lawsuits with rates as low as $47/mo. Get a fast quote and your certificate of insurance now. What Coverages Does Facility Support Services Insurance Provide? General Liability Insurance: No matter the services you provide or how carefully you work, there are certain risks you expose your business to when you staff are working with clients each day. Thanks to the ever-growing reliance on the courts to settle disputes, there is no such thing as a small accident these days. Anyone can be sued; regardless of the safety measures you have in place to prevent accidents on your clients' premises. General liability insurance can protect your firm from financial devastation arising from events you could be liable for. Worker's Compensation Insurance: Workers comp is required in most states by law for any non-owner employees. It is also usually contractually required by your clients. You rely on the help of your staff to make sure your facility support services firm runs smoothly. From the receptionists who handle your appointments to the staff working at your clients' premises, your employees help make your business a success. WA workers comp coverage can pay out for medical bills, loss of work, and other fees incurred to your employees if they are injured on the job. 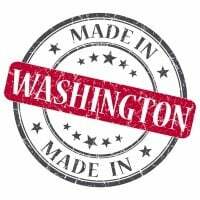 Business Property / Contents: Usually written on an "all risk" basis, this Washington facility support services insurance covers your normal contents, furniture and fixtures, as well as supplies and specialized work equipment. In most cases the coverage is written on a "Replacement Cost" basis, so current pricing always needs to be considered. Employment Practices Liability Insurance: EPLI insurance provides the protection you need should one of your employees allege any number of employment practice violations. These violations include race, age or gender discrimination, sexual harassment and wrongful termination. EPLI is essential coverage in today's litigious workplace. Employee Dishonesty Insurance: The facility support services industry comprises establishments primarily engaged in providing operating staff to perform a combination of support services within a WA client's facilities. Employee dishonesty insurance offers coverage against direct physical loss of personal property, including money caused by the dishonest acts of your employees. If you use your auto to conduct your services. You need higher limits of liability then a personal policy offers. Haul a considerable weight in tools or equipment used to conduct your business. Employees operate the auto or if ownership is in the name of your firm. Hired Auto - Provides protection for legal liability arising from the use or maintenance of a hired auto. Cyber Liability: No person or organization is immune from a data breach, regardless of size or even the sophistication of their security. Washington facility support services insurance has an optional cyber liability endorsement that is designed to protect you from losses related to data breaches and cyber-attacks. Business Owner's Policy: A Business Owner's Policy (BOP) protects your business in much the same way that a homeowner's insurance policy protects your home and personal possessions. By combining two of the most critical coverages for small business - Business Liability and Property - a BOP can save you money while safeguarding everything you've worked so hard to build. WA facility support service providers face special challenges when looking for the right insurance provider because each service whether janitorial, maintenance, trash disposal, guard and security, mail routing and other logistical support, reception, laundry or else presents unique risks. Facility support services insurance is very important because it's tailored to fit your specific needs so that you won't be overpaying for something you're not required to have, or missing any kind of coverage that's absolutely essential. Request a free Washington Facility support services insurance quote in Aberdeen, Anacortes, Arlington, Auburn, Bainbridge Island, Battle Ground, Bellevue, Bellingham, Bonney Lake, Bothell, Bremerton, Burien, Burlington, Camas, Centralia, Chehalis, Cheney, Clarkston, College Place, Covington, Des Moines, DuPont, East Wenatchee, Edgewood, Edmonds, Ellensburg, Enumclaw, Ephrata, Everett, Federal Way, Ferndale, Fife, Gig Harbor, Grandview, Hoquiam, Issaquah, Kelso, Kenmore, Kennewick, Kent, Kirkland, Lacey, Lake Forest Park, Lake Stevens, Lakewood, Liberty Lake, Longview, Lynden, Lynnwood, Maple Valley, Marysville, Mercer Island, Mill Creek, Monroe, Moses Lake, Mount Vernon, Mountlake Terrace, Mukilteo, Newcastle, Oak Harbor, Olympia, Othello, Pasco, Port Angeles, Port Orchard, Port Townsend, Poulsbo, Pullman, Puyallup, Redmond, Renton, Richland, Sammamish, SeaTac, Seattle, Sedro-Woolley, Selah, Shelton, Shoreline, Snohomish, Snoqualmie, Spokane Valley, Spokane, Sumner, Sunnyside, Tacoma, Toppenish, Tukwila, Tumwater, University Place, Vancouver, Walla Walla, Washougal, Wenatchee, West Richland, Woodinville, Yakima and all other cities in WA - The Evergreen State.